This is the output from a planatarium program I wrote a few years back to show the positions of the stars and planets from any location, at any time and date. 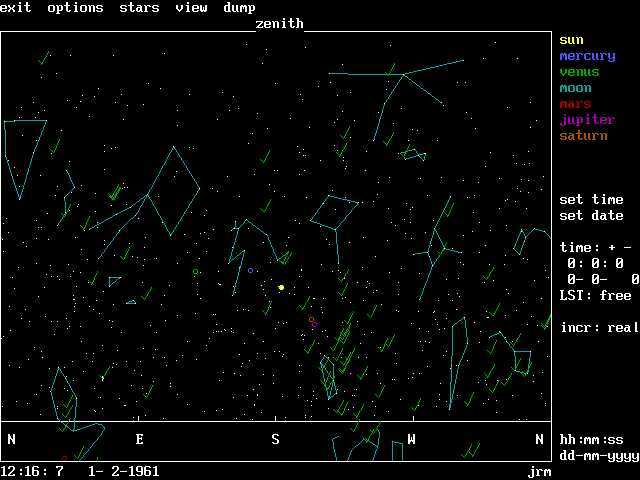 This chart shows the sky at the time I was born. It used to be available for download, but by now so many betters one are available from the web it's far outclassed. Still, I was pleased with it.